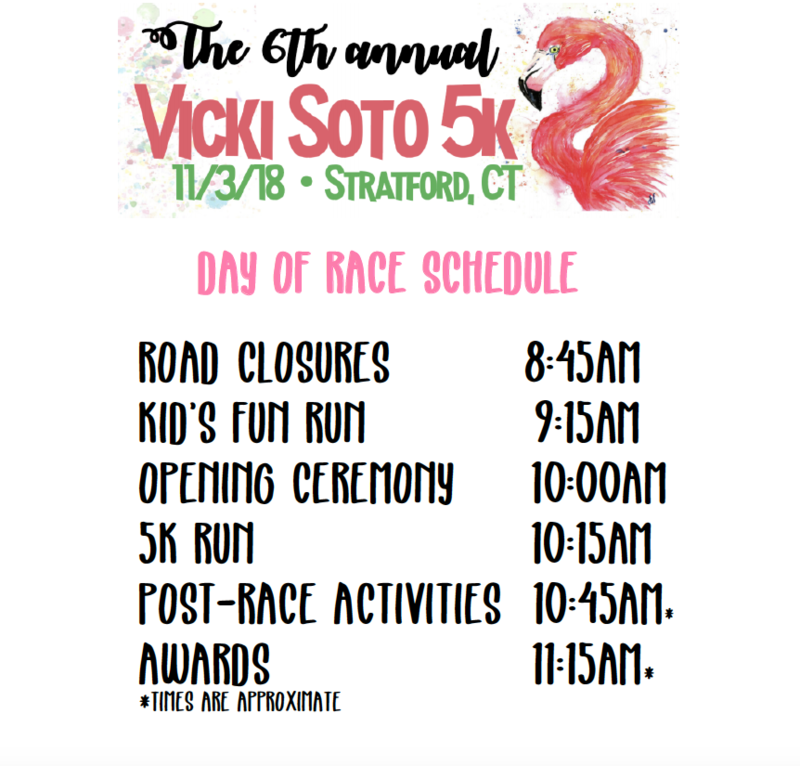 Please join us this year for The 6th Annual Vicki Soto 5K on Saturday, November 3, 2018! 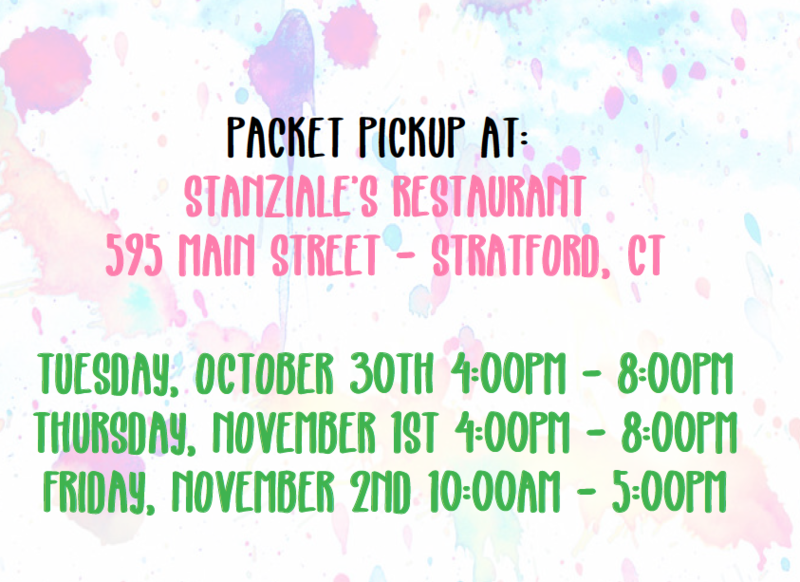 This family friendly walk/run takes place through the picturesque Lordship section of Stratford, Connecticut, Vicki's hometown and is fun for the entire family! From the kid’s fun run and activities tent – which features face painters, balloon twisters, artists and more – to our food and beer tents following the race, you won’t want to miss this incredible day!! 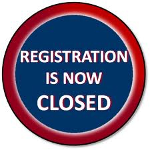 Shirts will only be guaranteed to participants who register by 10/14/2018 11:59PM! All proceeds from The 6th Annual Vicki Soto 5k will benefit The Vicki Soto Memorial Fund, Inc. 501c(3) charitable organization. The Vicki Soto Memorial Fund, Inc. was established in honor of Vicki and her passion for education. To date, the fund has awarded over $100,000 in educational scholarships to students pursuing a career in the field of education. The Vicki Soto Memorial Fund has also established The Miss Soto Literacy Legacy, in partnership with the Stratford Board of Education and Stratford Library, increasing literacy in Stratford Public Schools through mentor-text learning, after school tutoring, community programming and most recently, bridging educational funding gaps. Thank you for all your continued love and support. -Team Fundraising Competition! Be sure to select your team and make a donation to the Vicki Soto Memorial Fund when you register!